Welcome to Creating in the Midst, a blog interview series that focuses on homeschooling parents who are in the midst of their own creative pursuits. Today marks our first interview, and I'm thrilled to introduce you all to my dear friend Melanie Haney. 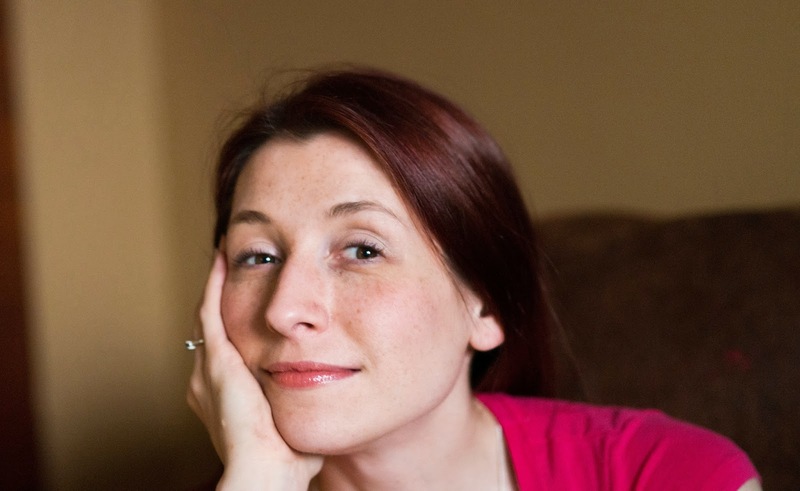 Melanie is a homeschooling mother of four, a writer, creator, and photographer extraordinaire. She is the author of The Simplest of Acts: And Other Short Stories and The Perfect Mess, and she muses poetically about ordinary, beautiful moments on her blog: The Frozen Moon. And of course, I can personally recommend Melanie's photography business, Simply Mella Photography! Without further adieu... onto the interview. ~What does an average day in the Haney house look like? Oh, I don't know that I can say that any day looks like the next, especially in our living situation (two homeschooling families under one roof.) ;) Alex, my oldest, is a constant though. He wakes up, tends to the pets, gets breakfast for himself and Evie and is normally half way through his school work for the day before I've even made the first pot of coffee. Lila tends to need more guided instruction, but not much beyond assigning her specific subjects and/or pages to accomplish. Asher is in kindergarten and all of his learning has happened organically. I've let him lead, in part out of the busyness of life, and in part, because I just don't have the energy to push a five (now six) year old to copy his name for three pages, until he's doing it perfectly. Imagine my surprise, when he taught himself to read and do addition and subtraction, simply because he wanted to do so. 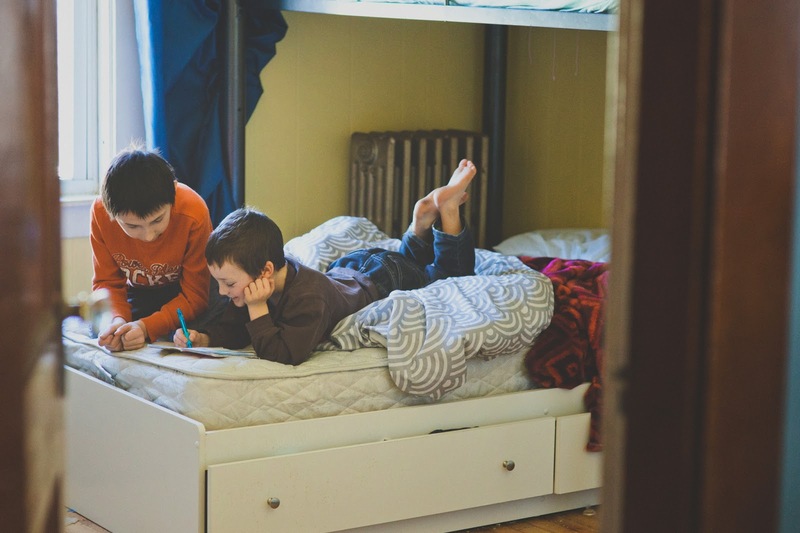 We are usually done "school" by noon or one at the latest, and then, if it's a day that we don't need to go out to co-ops or classes, the footsteps up and down the stairs begin and both floors of the house are littered with the chaos of eight children, two dogs and two cats. 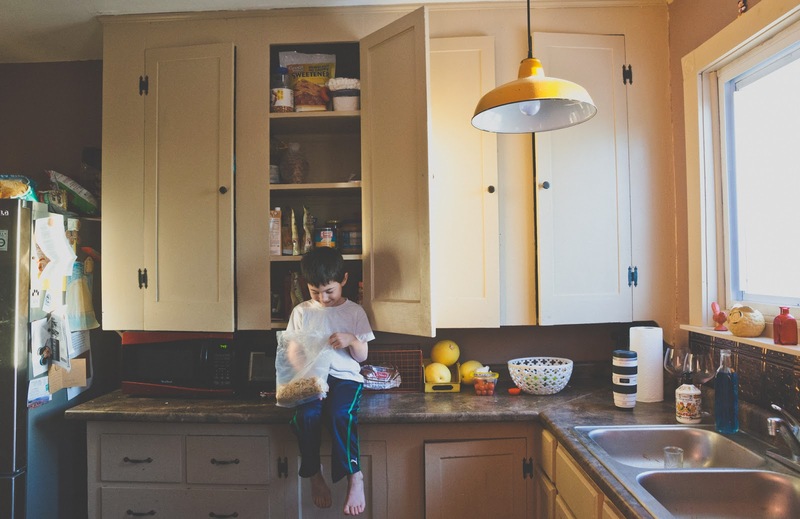 There are approximately eighty-two snack requests per day, two loads of laundry (and a third that gets washed and then forgotten and stuck to the sides of the washing machine tub, until the next day), two loading and unloading of the dishwasher, approximately one broken cup/plate/bowl per day (between the two floors) and at least three debates over screen time and what constitutes "educational" viewing material. Grocery shopping, meal planning, shuttling of children to and from drama, or choir or karate, all squish in there somehow too. In the midst of the craziness, if I am able, I run/jog/walk for at least an hour in the day, and then again at night, on my sanity saving treadmill. Vinnie comes home from work and we essentially high-five to transfer the duties of parenting. I sneak to the basement during the bedtime routine, to start actually working on editing and responding to client emails, or, if I'm not backed up with work, I write. I stay up far too late, often past midnight, unable to pry myself away from the quiet, child-free time...and the binge watching of Mad Men. ~From the outside it appears that you bring a bit of creativity into all areas of your life - from photographing the ordinary moments that add up to a day, to decorating beautiful cakes and adding bits of garnish to dinner plates - is this something that you do naturally or something that you make an extra effort to do? Truthfully, I just get bored very easily, and this leads to wanting to do things, like, make a fun cake or play around with cooking and plating dinner. Luckily, along the same lines, I am also inspired very easily. I think this is why I am so fascinated with the ordinary moments. I like to shower with the lights off, so that I can watch the sunlight catch the dust motes and then swirl in the steam while I'm rinsing my hair. It's like poetry. Of course, it's actually only me, not cleaning my bathroom well enough and then standing too long in the shower, with the curtain cracked enough to let the light in...but...I choose to see art and verse. I would much rather be busy than bored, and so, I take pictures, I opt for fresh whipped cream and maybe a patterned dusting of powdered sugar over dessert, I linger in good light and watch dust swirl...because all these things keep my mind, and soul, happy. It's not an effort, it's more of a creative compulsion, a drive. ~Can you tell us a little bit about your writing life? My writing life, if I'm being honest, is abysmal at the moment. I'm in the limbo of motherhood and career, somewhat clinging to the idea that by the time I'm forty, I'll have this miraculous wealth of time bestowed upon me, and I'll finally be free to write out all of the characters and stories that have taken up residence in my soul for the past decade. The practical woman in me knows this is not going to happen, and so, I have started to try to commit to writing *something fictional* at least once a month. Most of my other writing lately, is just in blog format, where I pour out whatever is on my heart, whatever situation has struck me as needing to be recorded for later remembrance. But, these are all just accounts of motherhood, womanhood and myself. But, non-fiction is not my genre, and I have worlds to write, scenes that haunt me and characters that nudge me to find the time...before I'm forty. ~What measures do you take to protect your creativity? I don't know that I take any. I think I just see most anything that I do, perhaps outside of filing taxes, as a potential creative outlet, and I embrace it. So, maybe that? Maybe creativity is a muscle, and I just flex it as often as possible. Humming and daydreaming while doing the laundry. Really feeling things, like the grit of dried oats in a bowl in the sink. People watching at the grocery store checkout line, imagining what they are making with those bundles of herbs and the white wrapped packages from the fish counter - a bottle of wine, maybe it's romantic, or maybe they're having company? ~Do you need absolute quiet to create, or do you prefer noise? And how does that impact your day? If we're talking specifically what I need to create writing - I need quiet. No children. No television. No music. Not even the sound of Vinnie chewing tortilla chips. (See above where I said I retreat to the basement.) Photography is the complete opposite. I like a bustling, swirling, life going on all around me, atmosphere, one where I can disappear and be invisible behind the lens...witnessing the art of life, of an elderly couple holding hands during a wedding toast, or a little girl twirling her hair during the first dance, eyes fixed on the bride on the floor. Stories everywhere, and instead of a pen, I shoot. 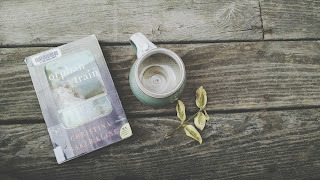 ~What is the most challenging aspect of being a writer/photographer and homeschooling? The most challenging aspect is the silencing of mommy-guilt, turned client-guilt. I've gotten better at this, but there is still always a lingering doubt that I'm somehow failing someone at any given moment. It could be that I am convinced on a Tuesday that Lila will never pass her end-of-the-year exam, because I haven't devoted enough time to her multiplication skills - or it could be because I'm too quickly approaching a delivery deadline for a client and haven't had the time to sit long enough to finish their gallery. Or, it could be that I am still paying for my MFA in creative writing, but haven't worked earnestly on the novel that sits 3/4 of the way finished in a folder on my desktop. Silencing the voice in my head that tells me I'm failing, that is the battle. 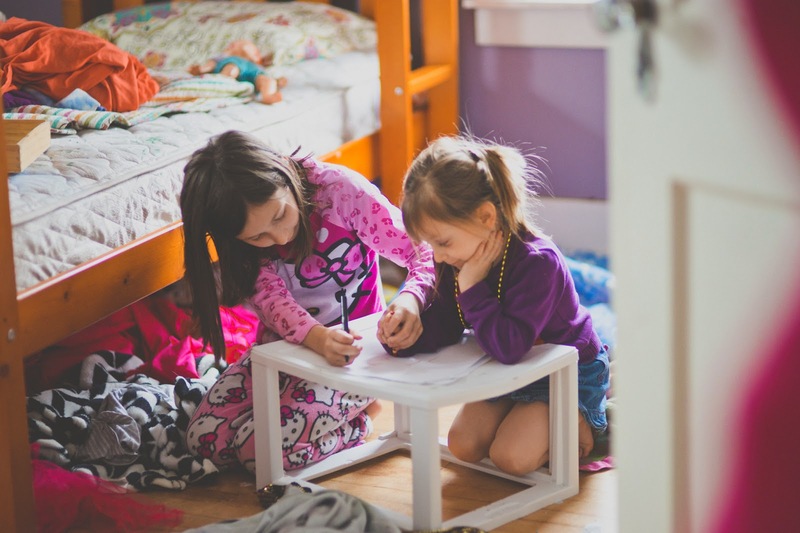 ~What is the most rewarding aspect of being a writer/photographer and homeschooling? On the ride to co-op yesterday morning, Alex excitedly started to tell me all about how he was just reading about the Panama Canal the other day, how it was built and why and what a difference it made - and that the book he was reading right there in the van, was talking about Roosevelt and his connection to the Panama Canal. Alex loved connecting the dots, on his own, from two totally different texts. And I thought, what an amazing kid. On the way to the circus today, Asher couldn't stop reading aloud every sign he laid eyes on. Grand Slam Pizza. CVS/Pharmacy. Union Oyster House. And I thought to myself, my son did this on his own. What an amazing kid. 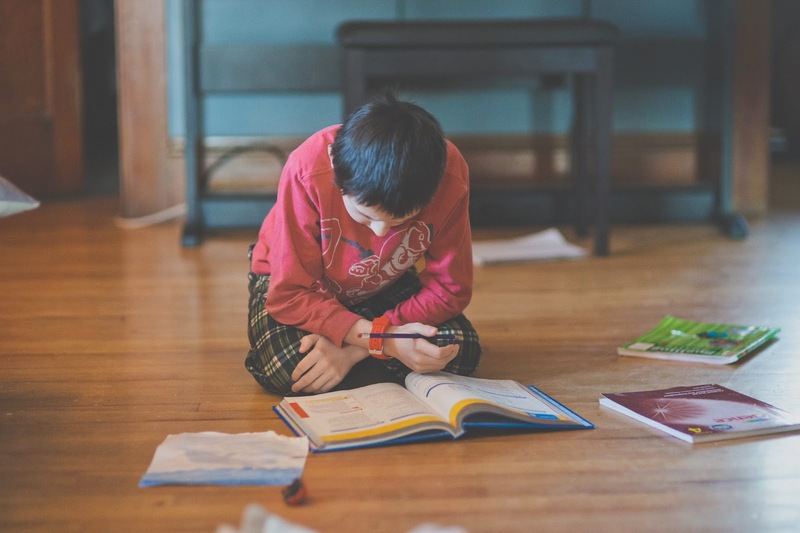 Being a homeschool mom, I've come to find myself far less of a teacher than I thought I would be. In fact, I am a terrible teacher. I rely on Google and Khan Academy far more than I should admit. That said, the role I'm growing into is far more rewarding. I'm a witness. I'm their witness. ~How do you feel about the word balance? Is there such a thing? Balance is like happiness - it only really exists if you make your own. Happiness, I've got. Balance, I'm still working on. It requires going for a run and also doing some deep, thoughtful breathing techniques while stretching, or laying flat on my back and staring up at the ceiling...until I'm interrupted by a child or a dog. ~Has your creative process changed due to homeschooling? Only in that it has made me need to be more intentional. I have "creative" work that is actually work (photography) and so, writing has become something that is limited to the quiet moments, when my editing queue is light, that I'm able to find. ~What advice would you give to someone who is passionate about their creative pursuits, and just starting out on their homeschooling journey? This might sound counter-intuitive, but, don't read (too much) about how other people do things. I know that my process is different than all of my homeschooling friends' processes, it's even different than my very creative best friend, living just one floor below me. It's a personal journey, one that you take with your family. And much like everything else in life, comparisons are never going to be fair. 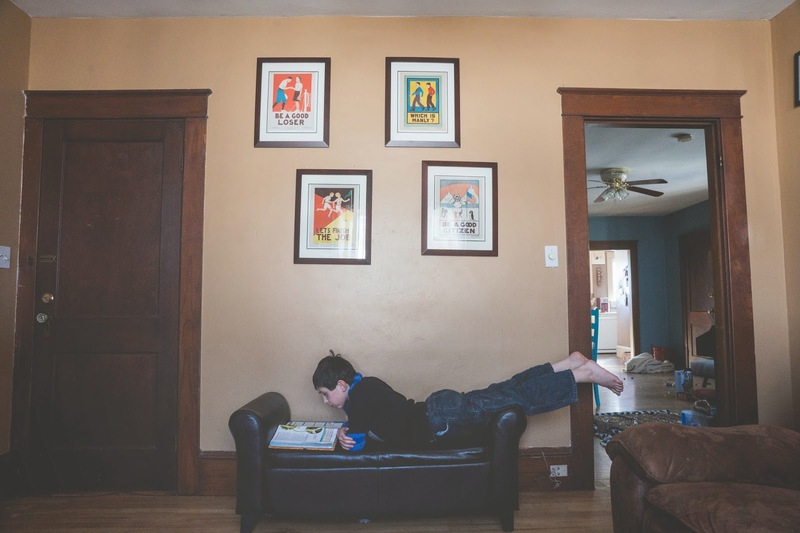 Will your son decide he wants to just learn how to read on his own? Maybe. Maybe not. Either way - it's fine. And, eventually, possibly even sooner than reading or the discussions of the Panama Canal, you'll have time to be creative. If you're anything like me, you'll have to, as a matter of sanity. The best advice I have, is to not look over your shoulder, or to your neighbor, or to Pinterest or even to blogs. I'm no expert. I'm just a photographer/writer/mom in the trenches, who used three clean bath towels to sop up the lake of water her four year old spilled all over the floor tonight, while she was doing a sanity-saving treadmill run. We're all learning, even the experts, even the people who post the most inspiring instagrams or post the most wonderful shares on Pinterest. Do what's best for you, creatively. And do what's best for your family. Witnessing the journey is worth any sacrifice, I've found. But...then again, I'm the woman who is clinging to aspirations of accomplishing more writing when she's forty. ~Melanie, thank you so much for your words here. I found myself nodding as I read countless times as I read through your answers! Thank you again! If you are a homeschooling parent who is in the midst of creative pursuits, or know someone who is, and would like to contribute to this series, please contact me at crnnoel(at)gmail(dot)com. This is so lovely and true. How beautiful that you show us the beauty in those particles of light that dance in the shower. The idea of creativity like a muscle rings true. Being a witness to our children's learning is the great big reward. And then it expands us, too. This is just so beautiful!! And I love love love her advice.